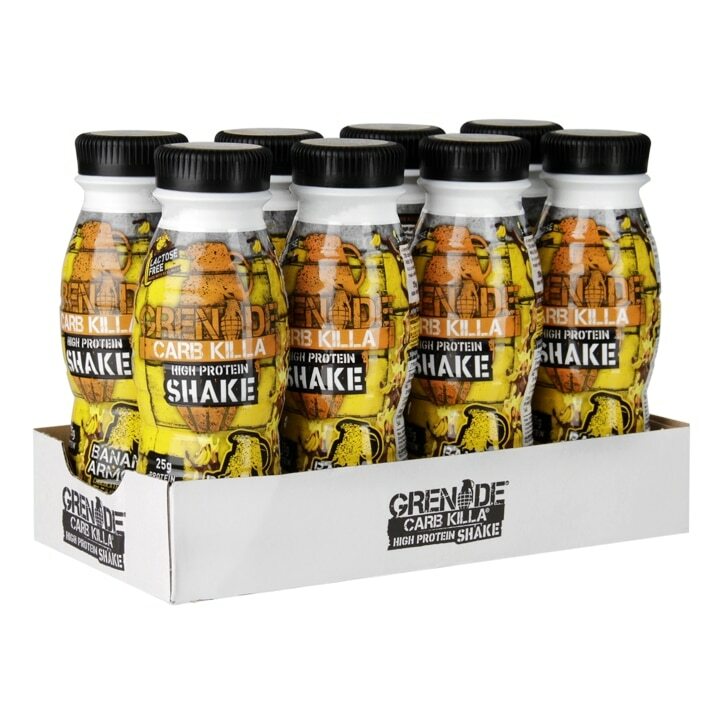 Grenade Carb Killa Shake Banana Armour is rated 4.8 out of 5 by 8. Rated 5 out of 5 by Jules271060 from Protein shake Excellent product with excellent taste. Can’t wait to try the others. Rated 4 out of 5 by Boopie from Such a treat, fantastic taste Not the biggest fan of shakes but this is one is luxurious! Lovely and thick with such a beautiful chocolate banana flavour. Perhaps a little pricey to buy individually seeing how quickly you end up drinking it but makes for a lovely treat. Rated 4 out of 5 by Marshy81 from Amazing Taste!!!!! Grenade RTD Banana Flaver is Definitely one of the best tasting Protein drinks I've tasted yet!!!! !